Welcoming Hansaton’s exceptional range of hearing devices that have transformed hearing experiences, providing higher natural sound quality as well as the option of limitless hearing…. Founded in Germany by Rudolf G. E Fischer in 1957, Hansaton’s goal is optimal hearing for people across the globe. Hansaton works with audiologists and other partners to develop cutting edge technology, and innovative solutions for people with hearing loss. Hansaton understands that keeping your brain active through communication is vital to mental health, and it is this angle that drives their hearing aid designs. In 2015, Hansaton partnered with the global leader in hearing devices – Sonova, strengthening their place in the market. Hansaton is also a leader in sustainable and ethical business practice. With an environmentally friendly approach to hearing aid batteries they support the Plant-for-the-Planet initiative. For every AQ system sold, Hansaton will plant a tree, helping to raise awareness on climate change and global justice. In 2017, Hansaton proudly celebrated 60 years in hearing and emotions, making sure you hear better and understand more. 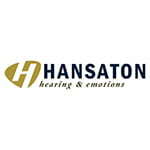 Hansaton has many styles of hearing aids, with beautiful designs and advanced technology. The style you choose will depend on your preference, your hearing loss and what your hearing healthcare professional considers the most appropriate for your hearing needs. The most familiar style of hearing aid with all components cased in a piece that sits behind the ear and an earmould (custom or dome piece), which carries the sound into your ear canal. A slim tube or earhook joins the earmould to the technology sitting behind the ear. Being a smaller BTE hearing aid, this is a discreet style of hearing aid. Hansaton RICs are diminutive (2cm in height), high performing hearing aids that have the microphone positioned behind the ear and the receiver in the ear which is held in place by an earpiece – either custom made or a dome. The two pieces of technology are joined by a thin cable. A custom made hearing aid, where a hearing professional takes an impression of your ear. Being the largest inside the ear style it will accommodate hearing losses up to the severe range. The ITE is easier to handle for those with dexterity issues. Hansaton has this style in two sizes: Half-Concha or Concha. 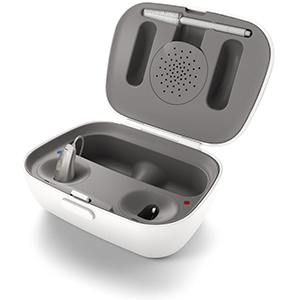 A smaller version of above, offering a more discreet hearing aid style, with a smaller portion of the hearing aid visible in the outer part of your ear. Hansaton has this style in two sizes: Canal and Mini Canal. Hidden completely in the canal, this tiny hearing aid is barely visible and sits deep in the ear canal. The device has a tiny removal handle – the only part that can be seen outside the ear canal. Sitting very deep in the ear canal and custom-made for you. The Hansaton design is practically invisible at 1cm in size and it too has a removal wire for easy handling. The higher the technology level, the more features you will find on the hearing aid and the more programming ability your hearing healthcare professional will have to customise your device to suit your specific needs. Some people have complex hearing requirements and will require a First Class hearing device. That level of performance will provide more solutions, delivering unequalled speech clarity across a wider range of settings. Hansaton’s goal is for you to hear better and understand more to improve your wellbeing. Discuss your communication needs with your hearing healthcare professional to help determine the performance level that’s right for you. HearIntelligence is the strategy of all Hansaton hearing devices. It takes into account five critical areas for natural hearing – detection, automation, focusing, localisation and optimisation. When your hearing is not as it should be, these critical functions don’t work as they should. When all the areas that enable natural hearing are not fully functional, this impacts not only on your communication ability but also your well-being. Among other things, it can lead to social isolation, insecurity and depression. However, the functions of HearIntelligence in Hansaton hearing aids can assist repairing the critical areas of natural hearing, taking into account the complexity of all listening situations, and returning you to a world of sound you remember. SHD Technology is the latest technology available in Hansaton hearing aids. It provides improved binaural and spatial hearing for everyday well-being. Working on the premise that the brain and ears work together to detect auditory signals and provide natural hearing in the environment, HearIntelligence will repair this process when lost through hearing impairment using SHD Technology. This will not only improve the hearing levels but provide a more natural listening experience. SHD Technology will map your acoustic environment with SurroundSupervisor and give you important spatial information. Using vital 3D cues from your position and the sounds around you SphereSound will localise sounds then compress and amplify all the sounds you need for clear, natural hearing. AutoSurround will adapt and adjust to the acoustic information in your environment automatically, giving you a wonderful ‘surround sound’ experience. Across a wide variety of acoustic situations, this feature will improve your listening experience for (among others) music, conversation in crowds and quiet. SpeechBeamwill also give you that 360° feeling, allowing you to pinpoint the speech you want to hear, no matter who is speaking. All the components of SHD Technology work together to give you intelligent, natural hearing allowing you to hear better and understand more. Bluetooth ‘made for all’ allows streaming for virtually all Bluetooth enabled media. Go hands free from your smartphone, stream your favourite TV program directly to your ears or enjoy high fidelity music streaming. Combining binaural hearing intelligence with Bluetooth streaming in a RIC style hearing device, the sound SHD stream hearing aids provides High Definition hearing for better understanding. One click on the hearing device allows for hands-free calls from your smart phone, binaural streaming for video calls, your favourite TV shows or music. This chic design utilises HearIntelligence and all the SHD Technology features, giving you a personal listening experience that is second to none. You will experience natural sounds and clear speech with your sound SHD stream hearing aids while you utilise the 2.4GHz streaming technology and is available in all performance class levels. This hearing device will suit you if you have hearing in the mild to severe range, want to stream from all your Bluetooth devices, and want to experience hearing of unmatched sound quality. With this model you will have a hearing aid that provides exceptional signal processing for brilliant natural sound. You have the benefits of SHD technology in a RIC style hearing aid. These hearing aids are fitted with a telecoil for clear sound while on the phone and are available in all performance classes. The sound SHD hearing devices are beautifully designed, both inside and out. 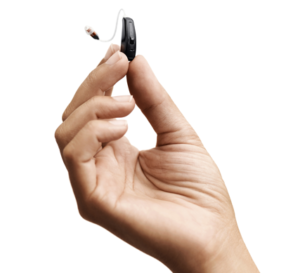 The wireless technology in these hearing aids is simple and convenient to use. They will suit you if you require the best speech comprehension in a natural-sounding environment, and don’t require Bluetooth streaming. 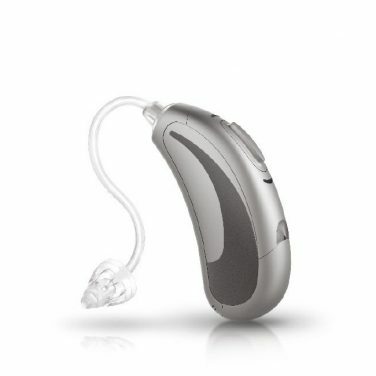 This RIC hearing aid comes with all the options of the sound SHD, and is rechargeable! The lithium-ion battery will give you 24 hours of power after a three hour charge. It is available in all four performance classes and comes with the Comfort Charger case. The case has an optional desiccant capsule (to keep your hearing aids dry) and a Comfort Power Pack so you can charge your hearing aids on the go. The Power Pack will provide up to seven charges, without having to plug it in to a socket. The AQ sound SHD rechargeable hearing aid will suit you if you want a RIC style hearing device, the advantages of SHD and a device that is rechargeable. 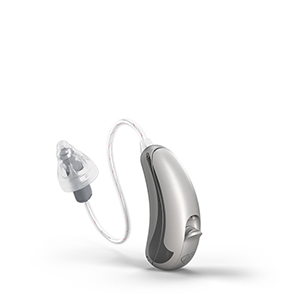 This model is jam-packed with features in discreet casing, whether you select a small BTE or ITE hearing aid style. Using the SHD Technology platform, it is available in all technology levels. The jam SHD will give you exceptional speech quality and perfect surround sound. If you decide to go with an ITE model, a cast of your ear will be taken and your hearing aid will be designed using advanced 3D modelling technology. This system identifies thousands of data points inside your ear canal to ensure a perfect, comfortable fit. You’ll be able you to wear your hearing aid all day, every day. This will keep your brain active, and will suit you if you want a small device, of any style, and not miss out on all the advantages of SHD. This BTE hearing aid comes with all the options of the sound SHD, in a rechargeable model. The lithium-ion battery will give you 24 hours of power after three hours charge. It is available in all four performance classes and comes with the Comfort Charger case. The case has an optional desiccant capsule (to keep your hearing aids dry) and a Comfort Power Pack so you can charge your hearing aids on the go. The Power Pack will provide up to seven charges, without having to plug it in to a socket. The AQ jam SHD rechargeable hearing aid will suit you if you want a discreet BTE hearing aid style, everything that SHD technology has to offer in a device that is rechargeable. Hansaton’s power BTEs are designed to be dynamic and powerful for people with severe to profound hearing range. The level of amplification is impressive but the level of power is not detrimental to the quality of speech and sound for the wearer. The beat SHD comes in two performance classes and will suit you if you have hearing in the range that requires power and performance.